Dec. 8, 2011, 11 a.m. The veteran editor asks what happens when a community loses a newspaper — or the reporting heart of one. Part 2 of 3. By Tom Stites @tomstites Dec. 8, 2011, 11 a.m.
Editor’s note: Tom Stites had a long career in newspapers, editing Pulitzer-winning projects and working at top newspapers like The New York Times, the Chicago Tribune, and the Philadelphia Inquirer. In recent years, he’s shifted his emphasis to trying to figure out a new business model for journalism through the Banyan Project. Here, Tom outlines where he believes web journalism stands today and one model he thinks might work; here’s part one, this is part two, and here’s part three. Here’s a challenge: Name a straightforward two-word phrase related to journalism that you can enter in Google and get only one result. Now check Wikipedia. “News desert” comes up entirely empty — but “food desert” gets 3,400 words. Any why not? Hunger is a crucial issue, and “food desert” provides a vivid frame that elicits a mental movie of hungry people crawling over arid dunes in search of an oasis for sustenance. Frames matter. They determine how an issue is understood, driving this understanding into the language and thus into people’s thinking about what actions to take. One proof of the power of “food desert” as a frame is that a Google search yields thousands of direct hits — including links to serious actions people have taken, including the Agriculture Department’s food desert locator and to Food Desert Awareness Month. But isn’t it also a crucial issue that a huge part of the American people, the less-than-affluent majority, is civically malnourished due to the sad state of U.S. journalism — and that the nation’s broad electorate is thus all but certainly ill informed? It has long troubled me, and many others, that an issue so central to democracy has such a peripheral role in the discourse about journalism’s future, which tends to focus more on crowdsourcing, Twitter and Facebook, aggregation vs. original reporting, how AOL is faring with Patch, and search engine optimization. These are important topics, but perhaps an energizing frame like “news desert” can widen the aperture of thinking about journalism’s future and sharpen the focus on people’s and democracy’s needs — on journalism as public good. Elites and the affluent are awash in information designed to serve them, but everyday people, who often grapple with significantly different concerns, are hungry for credible information they need to make their best life and citizenship decisions. Sadly, in many communities there’s just no oasis, no sustenance to be found — communities where the “new news ecosystem” is not a cliché but a desert. The Chicago journalist Laura S. Washington introduced me to the desert frame, and she credits a South Side community organizer for originating it. Washington used it in her remarks in April when she and I were members of a panel called Journalism and Democracy: Rebuilding Media for our Communities at the 2011 National Conference for Media Reform. Suddenly a movie was running in the little screen in my mind: The protagonists were losing sleep on a hot night, worrying over life issues they might be able to resolve if only they had the right information — but there was no news oasis in the landscape of their lives, so they just kept tossing and turning. I couldn’t see if movies were playing in the heads of the hundreds of people in the hall listening to our panel, but they clearly got exactly what Washington meant. So I’ve been using “news desert” in conversations and presentations over the last six months. It never fails to communicate powerfully. Haverhill is a middle-income city of 60,879 whose daily newspaper and community radio station folded years ago and whose sole weekly is withering — and it will be the pilot city for the Banyan Project, a web journalism startup I lead that’s designed to sustain itself while serving communities and publics that other media tend to ignore. News deserts are places whose economies cannot sustain any established business model for journalism, for-profit or nonprofit, and Haverhill exemplifies one kind: municipalities whose news institutions have failed or faded as advertising has dried up and can no longer come close to meeting the information needs of the community and its people. Many rural communities fit this category as well. Demographics rather than political boundaries define other news deserts categories. In a speech at the Media Giraffe Project’s 2006 Conference, I laid out how metropolitan newspapers across the land tailor their coverage to serve readers in the top two quintiles of the income distribution, ignoring the quite different information needs of everybody else — and that was before the five-year newspaper ad revenue nosedive caused widespread layoffs, further shriveling the supply of original reporting that is the bedrock of journalism’s public good. I didn’t have the news-desert frame back then, but when it comes to life-relevant original reporting it’s clear that it describes where the less-than-affluent American public tends to live. Minority communities in big cities tend to be the most arid news deserts of all, a point Washington made in her NCMR panel presentation and in an In These Times essay. (A Chicago blogger’s item calling attention to her essay is the source of that one and only Google hit.) Washington’s desert phrase was a bit different. She cited foundation-funded research aimed at assessing the news needs of low-income and minority communities on Chicago’s West and South Sides. Low-income respondents in an 800-person phone survey were less connected than others on every measure tested. People told focus groups that they read Chicago’s dailies but found little that resonates with their lives. 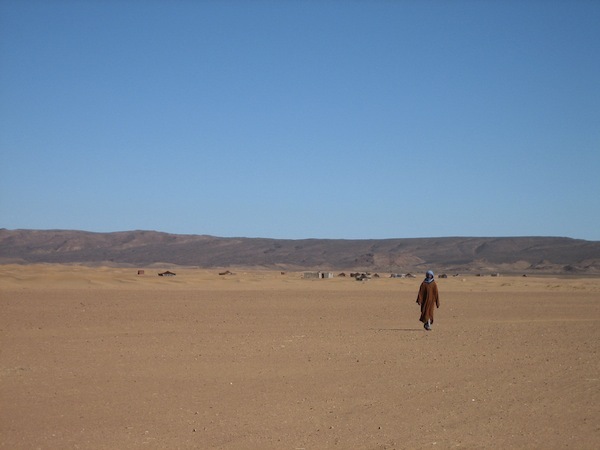 Desertification is on the march, claiming more and more communities as newspapers continue to wither and few Web efforts manage to replace more than a fraction of the original reporting that newspapers have abandoned (see Part I of this series). There are fresh examples from week to week and from coast to coast, but none is more vivid, or sadder, than the dramatic increase in aridity that newspaper readers in San Francisco Bay communities are surely experiencing right now. The Bay Area News Group, which had been 13 dailies published by the Denver-based MediaNews chain, last month cut 34 newsroom positions across the group and combined five of its titles into two; in total, more than 100 employees lost their jobs. In one stroke, three papers died and the 10 survivors were all wounded. Readers will find the papers less reflective of their communities — they’ll have local news sections and most will have familiar nameplates, but their general news, sports, and comics pages will be more uniform. And, with the shrunken staff, original community reporting, which has been drying up for years as newspapers laid off reporters, will become even more parched. Eric Newton, now senior advisor to the president of the Knight Foundation, was managing editor of The Oakland Tribune 20 years ago. In a posting to the Knight Blog, he recalled that he’d supervised a staff of 130 full-time journalists; after years of attrition the newsroom was home to only a dozen reporters — and this was before the newest cutbacks. Tomorrow: Might the elusive Web journalism model be neither for-profit nor non-profit? 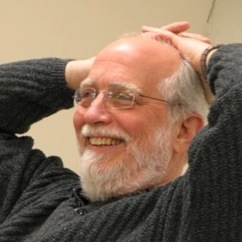 Tom Stites, president and founder of the Banyan Project, which is building a model for web journalism as a reader-owned cooperative, was a 2010-2011 fellow at the Berkman Center for Internet and Society at Harvard. Photo of Morocco’s Erg Chigaga by Joshua Benton. POSTED Dec. 8, 2011, 11 a.m.
Stites, Tom. "Tom Stites: Layoffs and cutbacks lead to a new world of news deserts." Nieman Journalism Lab. Nieman Foundation for Journalism at Harvard, 8 Dec. 2011. Web. 19 Apr. 2019. Stites, Tom. "Tom Stites: Layoffs and cutbacks lead to a new world of news deserts." Nieman Journalism Lab. Last modified December 8, 2011. Accessed April 19, 2019. https://www.niemanlab.org/2011/12/tom-stites-layoffs-and-cutbacks-lead-to-a-new-world-of-news-deserts/.